Total or partial destruction of the Motor Vehicle at the order of the authorities in attempt to prevent further spreading of the fire. Loss or damage caused by an event during the Motor Vehicle on a vessel for crossing purpose which is under the supervision of the Directorate General of Land Communication, including loss or damage due to accident of the vessel. Reasonable expenses in the event of occurrence of loss or damage as a result of the perils covered for prevention, transportation or towing to workshop or other place to prevent or reduce loss or damage, but shall not exceed 0.5% (half percent) of Sum Insured of the Motor Vehicle. This reimbursement is not deducted with own risk. 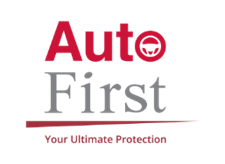 Comprehensive coverage, that provides total protection for your vehicle unless it is mentioned in the policy exclusion. Total Loss coverage that provides compensates caused by Loss of or Damage where cost of repair is equally or more than 75% of the actual value of the vehicle (Constructive Total Loss) or Theft. Personal Accident for Passenger and Driver. Strike, Riot and Civil Commotion.